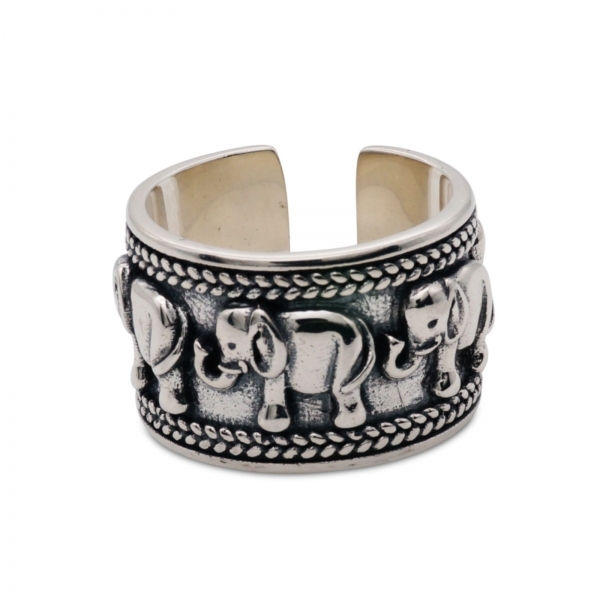 Trade wild style for wildlife style with this wide band that's a fashionable tribute to elephants. Perfect for pachyderm lovers and protectors, the exotic ring has an antiqued finish with braid-like texture encircling a parade of raised elephants. The open back makes it easy to tighten with a simple, firm squeeze or enlarge with a gentle tug on each end.